B & H Engineering, P.C. has furnished construction support services to the New York City Department of Transportation for the Rehabilitation of the South Avenue Bridge. The South Avenue Bridge is located in Staten Island, New York. The construction support services included review of shop, erection, electrical drawings including catalog cuts, specialized engineering, survey data, field changes, analysis and preparation of responses to unanticipated field conditions; the clarification and furnishing of design intent of plans, specifications, and estimate. 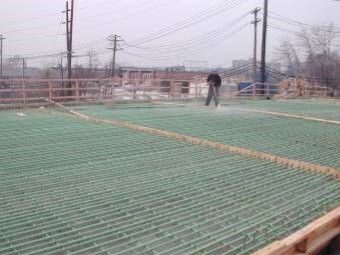 The construction work performed under this contract included the following: installation of protective shielding, installation of temporary structure for utilities, demolition and removal of existing superstructure, abutments, and piers; rerouting and maintaining of existing Con Edison and Bell Atlantic lines and existing water main; construction of a new bridge comprising new abutments, new piers, new superstructure consisting of prestressed concrete beams and deck slabs; installation of new protective screening; new approach slabs with pressure relief joints; reconstruction of existing approach roadway and sidewalks; and installation of new bridge lighting.